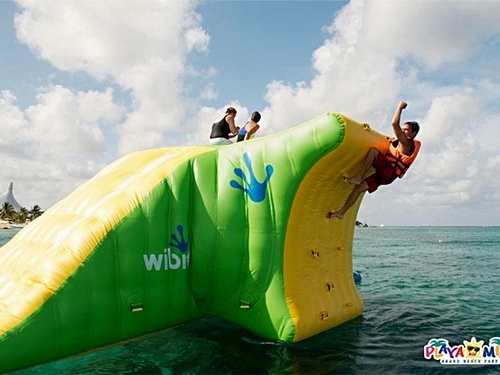 Round trip catamaran transportation from meeting point! English speaking snorkel guide and all snorkeling equipment including flotation vests! 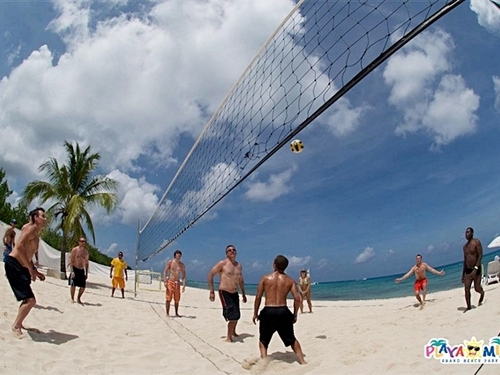 Beach Break at Playa Mia Grand Beach Park afterward! 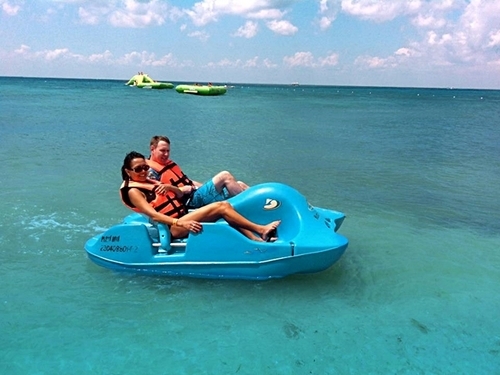 The beautiful Caribbean water, reef snorkeling, and the white sandy beaches...these are 3 things Cozumel is known for and you will enjoy all 3 on this Cozumel Boat Excursion to Playa Mia Grand Beach Park. 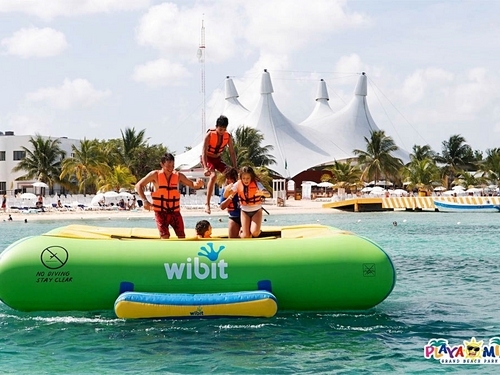 The excursion meeting point is located close to all the cruise piers. 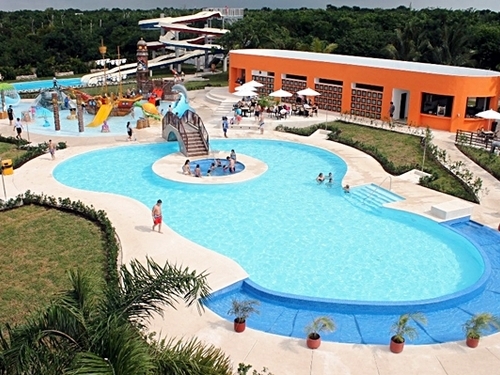 With a maximum capacity of 80 guests, you will have room to find the best spot for you to relax and enjoy the sail. The friendly, English speaking shore excursion crew will be circulating to assist you and pass out beverages. 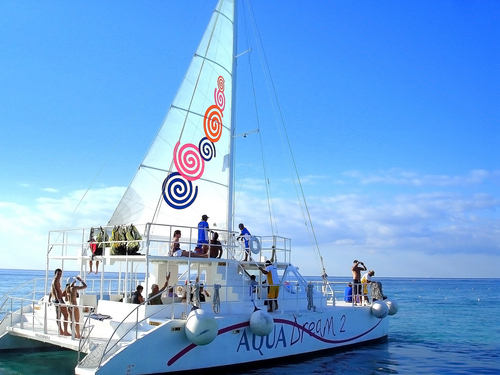 The catamaran will sail south along the shore for about an hour to your first snorkel site at Columbia Reef located within the protected Marine Park. The crew will pass out the snorkel gear (it is all provided), they will demonstrate and assist anyone needing help. You will then follow them on a guided drift snorkel tour over Colombia Reef. Drift snorkel means the boat will drop you off over one reef and the gentle currents glide you along. 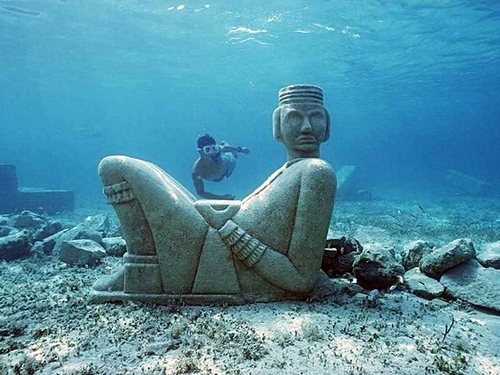 Your snorkel time is about 40 minutes. 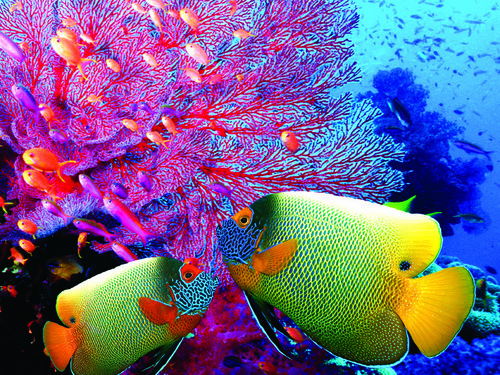 You can expect to see a wide variety of colorful tropical fish, sea sponges, and coral formations. When you have completed your snorkel, you will get back on the boat and head to the famous El Cielo or "Heaven" known for its resident starfish covering the bottom of the white sandy bottom bay. Snorkel or just relax...the shallow water is "heavenly". Onboard, receive a refreshing beverage from the domestic open bar on board the boat. 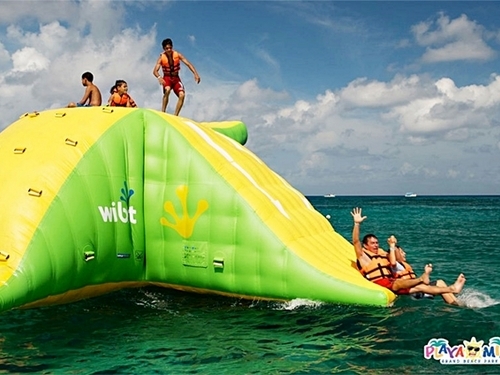 Then the captain will set sail for a 25 minute trip to Playa Mia Beach Club. 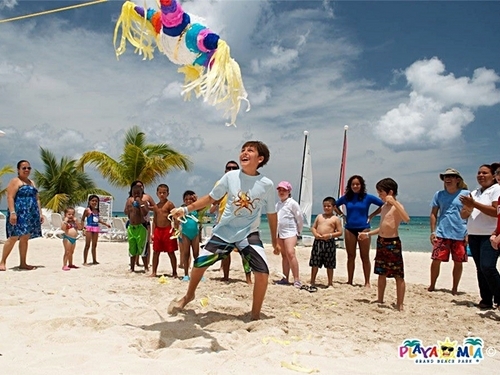 When you arrive at Playa Mia, you will be faced with a lot of choices of what to do because all the amenities and facilities are included. 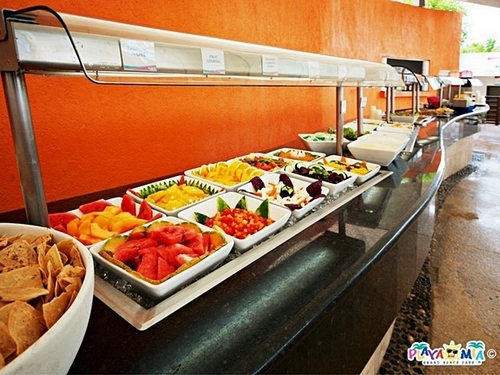 You will have the all-you-can-eat buffet with international choices, all-you-want fresh water fountain beverages and tons of activities to do during your stay (1 hour 25 minutes approx.) See the list below of everything included. 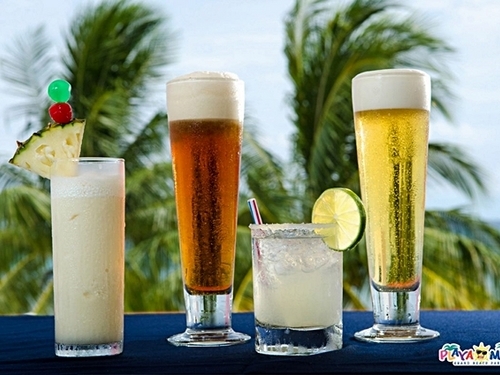 You may also purchase alcoholic beverages at the bar on site at an extra cost. 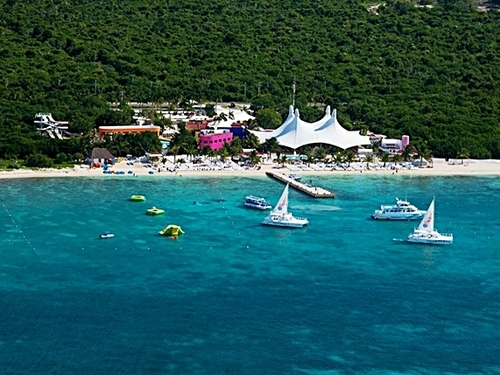 When your beach break time is over, the catamaran will take you back to the meeting dock. 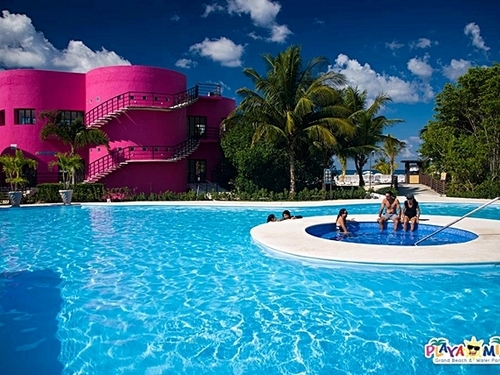 You also have the option to stay at Playa Mia and return to the ship at your leisure and own expense. 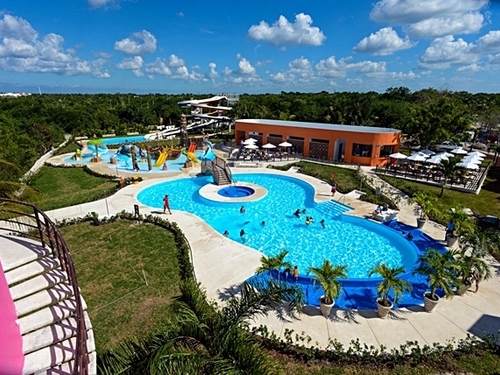 Restaurant, Bars, Beach, Cantina Pool, Twin Pool Slides (largest in Cozumel), Oasis Pool with Hydro Massages, Kids Pool, Floating Water Park (Ocean), Underwater Mayan City, Shaded Shopping Area, Supervised Kids Club, Beach Volleyball. 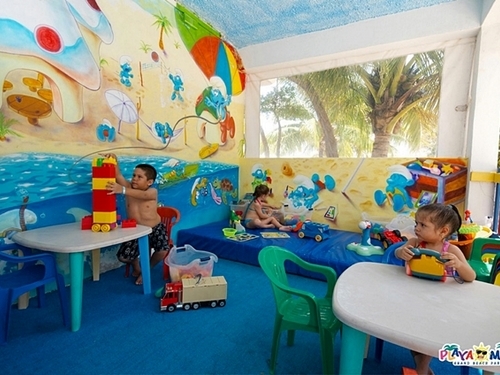 Kids Games, Showers, Dressing Rooms and Toilets, Lifesaving Service and Supervision, Rescue Boat, Centre for First Aid and Paramedic, Wi-Fi Internet, Loungers, Hobie Cat Sailboats, Kayaks, Pedal Boats, Water Tricycles, Floating Mats and Inner-tubes, Bungee Trampoline, Ping Pong, Snorkeling Tours (at additional cost). Caesar salad, Green salad (lettuce, tomato, carrot, etc. ), Corn, Pasta salad, Italian vinaigrette, Caesar dressing, Seasonal tropical fruits (3 different fruits), Fruit cocktail, Pico de gallo, Jalapenos, Red sauce, Croutons, Parmesan cheese, Aged cheese. Zucchini au gratin, Chilaquiles in mole sauce, Chili beans, French fries, Mashed potatoes, Mexican rice, Re-fried beans, House bread, Corn tortilla chips, Mac & cheese. Veracruz style fish fillet, Roasted pork, BBQ chicken, Beef fajitas, Meatloaf, Hotdogs. Ice-cream cone (soft blend machine), Jell-O (Various flavors), assorted cookies. Unlimited beverages from the still drink fountain (flavored water). 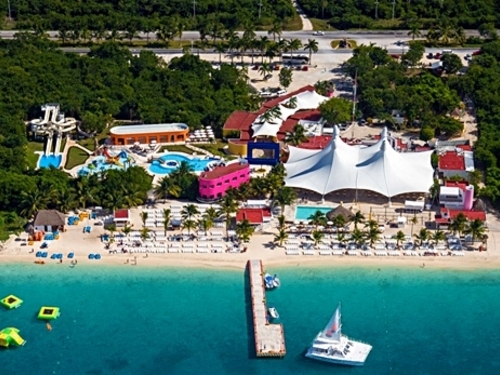 There are 2 convenient meeting points for the Cozumel Double Site Snorkel and Playa Mia Beach Club Excursion, within walking distance and close to all of Cozumel's cruise piers. 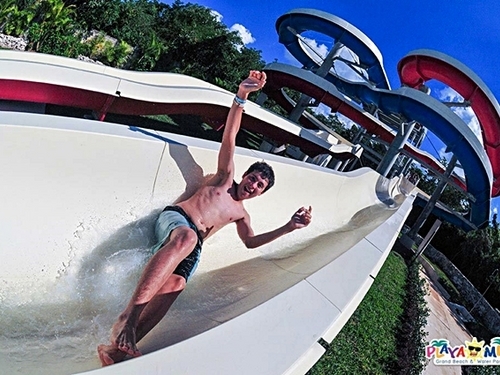 All necessary details will be printed on your Electronic Shore Excursion Ticket. We suggest you bring a swimsuit, towel, sun protection, cash for tips and additional purchases, waterproof camera, etc. 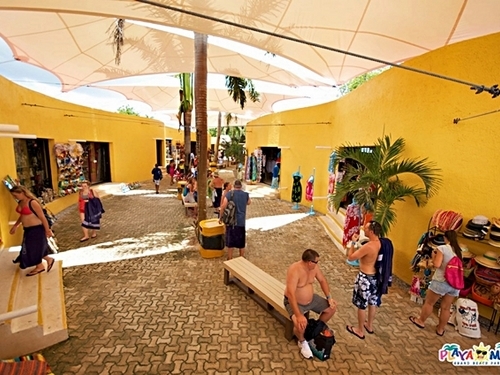 Lockers, umbrellas, and towels can be rented at Playa Mia. 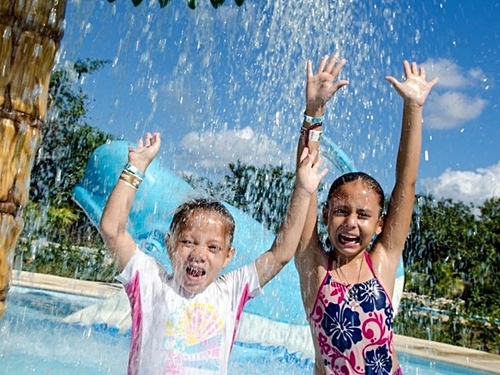 Minimum participation age is 10 years old, maximum participation age is 70 years old. 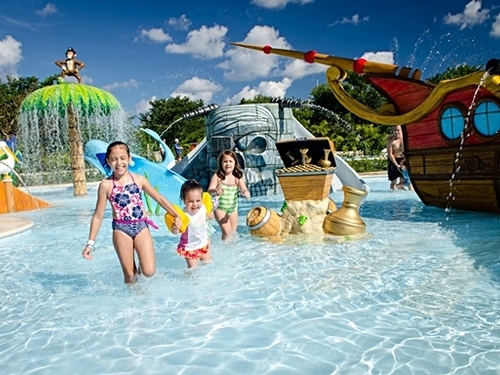 Children ages 4 to 9 years old may not snorkel. Minimum weight is 70lbs. Maximum weight is 250lbs (114Kg). Guests must be able to climb up a ladder to get back into the boat. 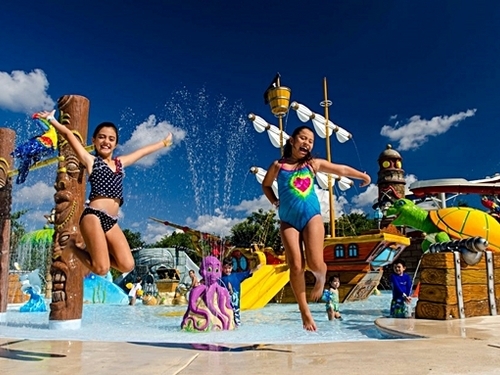 Guests who are on medications such as antidepressants, Lithium, beta-blockers or blood pressure/vein constrictors may not participate. All participants must be proficient swimmers, in GOOD health and self-sufficient. 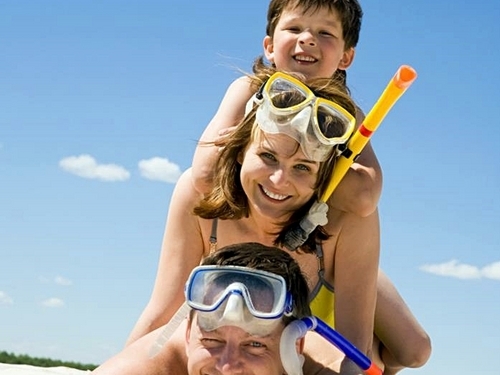 The use of a life vest during the snorkeling activity is mandatory with no exception. 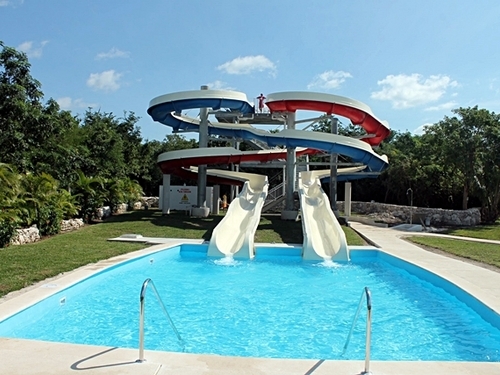 PARTICIPANTS MUST COMPLY WITH THE SPECIFIC RULES OF EACH INDIVIDUAL ACTIVITY INSIDE THE PARK. 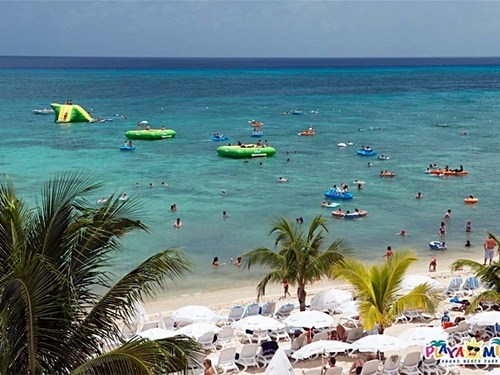 Participants must comply with Cozumel National Marine Park rules of use. Under-aged participants must be accompanied, directly supervised and cared for by the responsible Companion, Parent (s)-or Legal Guardian at all times. 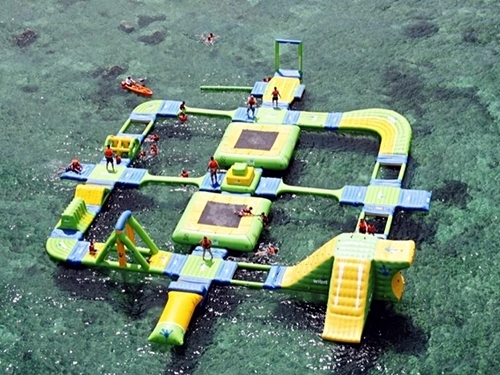 Alcoholic Beverages will be served AFTER the Snorkeling activity only. Playa Mia Beach Club requires, at its sole discretion, a valid photo ID as proof of age for alcoholic beverage consumption. Playa Mia Beach reserves the right to refuse service of Alcoholic beverages to guests that appear intoxicated, are unruly or underage. A. You will drift snorkel at Colombia coral reefs located with the protected marine park and at the famous starfish bay, El Cielo. A. The snorkel time is about 40 minutes at each site. A. Yes you are welcome to stay until the beach club closes at 5:00PM and return to the ship at your leisure and own expense. Approximate taxi cost is $12.00-$16.00usd per taxi for up to 4 passengers; the price is per taxi, not per person. A. It will take about an hour sailing from the boat dock to get to the snorkel sites and about 25 minutes sail to Playa Mia.